This modifier is used to reduce highly distorted areas of a mesh by smoothing the deformations. This is typically useful after an Armature Modifier, where distortion around joints may be hard to avoid, even with careful weight painting. To use this modifier effectively, it is useful to understand the basics of how it works. Used as a reference to detect highly distorted areas. The original vertex locations are used by default. Many options for this modifier relate to smoothing which is used internally to correct the distorted regions. The modifier also uses a Rest state, to use as a reference. Internally this modifier uses smoothing, so some of the options adjust the kind of smoothing. The factor to control the smoothing amount. Higher values will increase the effect. Values outside this range (above 1.0 or below 0.0) distort the mesh. The number of smoothing iterations. Higher values generally improve the quality of the smoothing, but the operation is slowed down. Select the smoothing method used. This simply relaxes vertices to their connected edges. 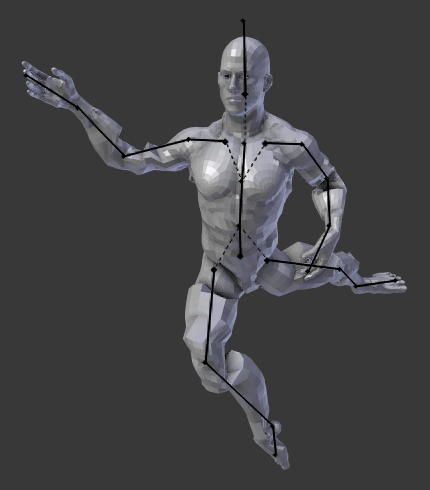 Uses a method of relaxing that weights by the distance of surrounding vertices. This option can give higher quality smoothing in some cases, by better preserving the shape of the original form. Use to manually select regions to smooth. This option is included to preview the smoothing used, before correction is applied. Prevent boundary vertices from smoothing. 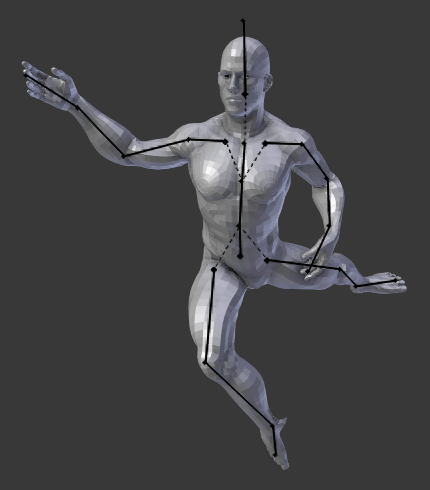 Select the source for reference vertex positions that defines the undeformed state. 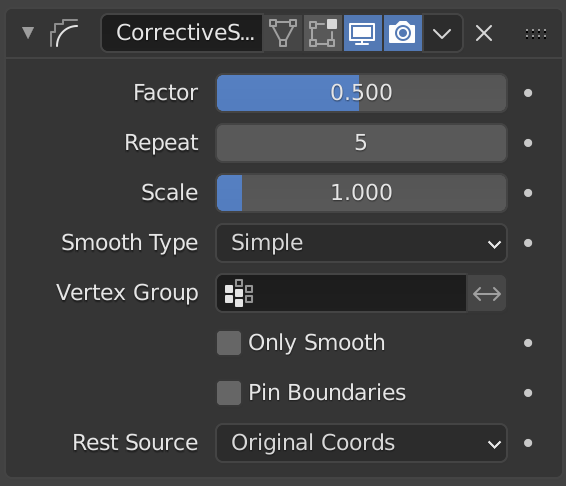 Use the original input vertex positions. This relies on the original mesh having the same number of vertices as the original mesh. Optionally you may bind the modifier to a specific state. This requires that there are constructive modifiers such as Subdivision Surface or Mirror being applied before this modifier in the stack.